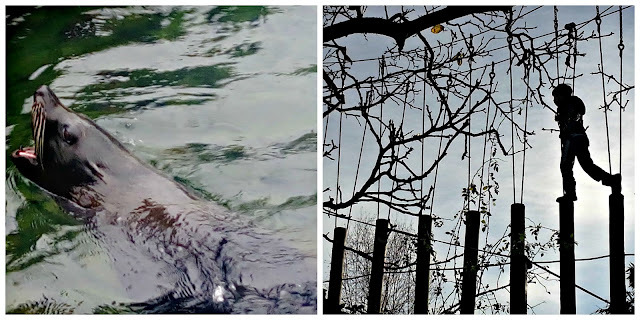 It's been over a year since our last Bristol Zoo Review and this post is a bit different to the last one. 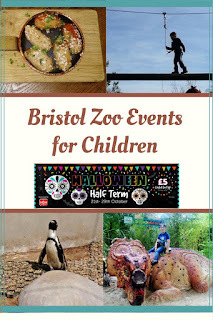 This time, I really want to focus on the additional events that are provided on a seasonal basis, as part of your ticket price Bristol Zoo puts a lot of effort into making the venue even more entertaining for children in the school holidays and so we're going to be reviewing the recent events we attended, as well as those that are coming up in the near future. Most importantly, the next activity in the Zoo's calendar; the Halloween Festival. Obviously, we can't actually review it, as it hadn't happened at the time of writing, but we can tell you all about it. 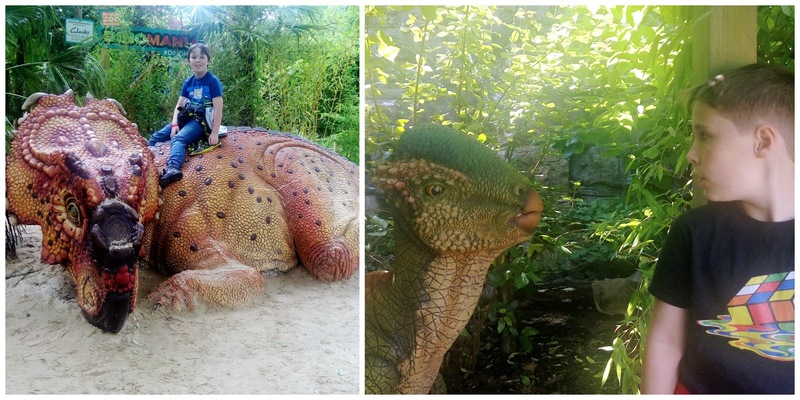 Over the summer, we were lucky enough to be invited to visit the zoo for free twice, once for the Friday Twilights experience, and again for Dinomania. Friday Twilights was my favourite, and I would recommend going if it runs again next year. For a fee of just £5 a head, you can spend the evening, up until 10pm, enjoying most of what the zoo has to offer, in a very different atmosphere. It was so much fun being in the zoo 'out of hours'. We spent time in the play park, and L did a sunset Zooropia course, then we found out what the animals get up to when the visitors have usually left. They behave quite differently in the evening. The seals get really loud, and interrupt EVERYTHING their keeper is saying, and the lions are a lot more lively than in the heat of the day. I found the whole experience really exciting and would definitely go again next year. Another highlight of our evening was our first opportunity to try the recently renovated Hide restaurant. It's really changed since our last visit. It's considerably bigger and feels a lot more spacious to sit in, with a much improved decor and seating plan. The best part though, is the new menu, which is far removed from the fayre offered in most tourist attractions I've visited. It's not cheap, but I find most eateries at places like this are often overpriced, so it made a nice change to find a restaurant that served quality, home-cooked food that I actually wanted to eat for probably not a lot more. 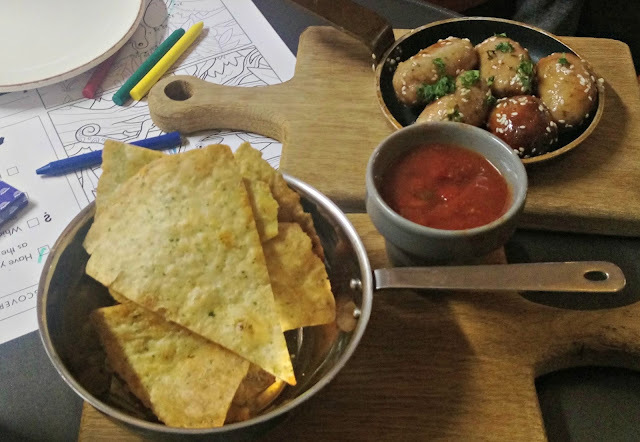 We tried the hand-linked Old Spot Sausages with honey and mustard glaze, from the grazing menu (£4.55), Chargrilled chicken, sweetcorn and roasted pepper pizza (£7.95) and the most delicious chips 'n' dip I have ever tasted (£3.95). You can view the menu online before you go. By the time we returned later in the summer for the Dinomania exhibit, we had been looking forward to it for some time. The exhibition consisted of several, very imposing, full-size dinosaur specimens, that moved very realistically. There were 11 examples to find, some standing in excess of 2 metres tall, such as the T-rex and the Gigantosaur. It was really fun looking for all the different models, some of which were small and hidden in the undergrowth. We even found one that squirted water! I don't know what has happened to the dinosaurs, now that Dinomania has finished, but I do hope we see them again one day. This was just one of many special events that the zoo has hosted this year and the next offering will be the Halloween Spectacular. The Halloween Spectacular promises to be as fun as it is spooky, with a Mexican 'Day of the Dead' theme. Special events include; A haunted trail, a Halloween parade, creepy creature encounters and spooky storytime. The best part is, children can be part of the fun for just £5 each with every paying adult. 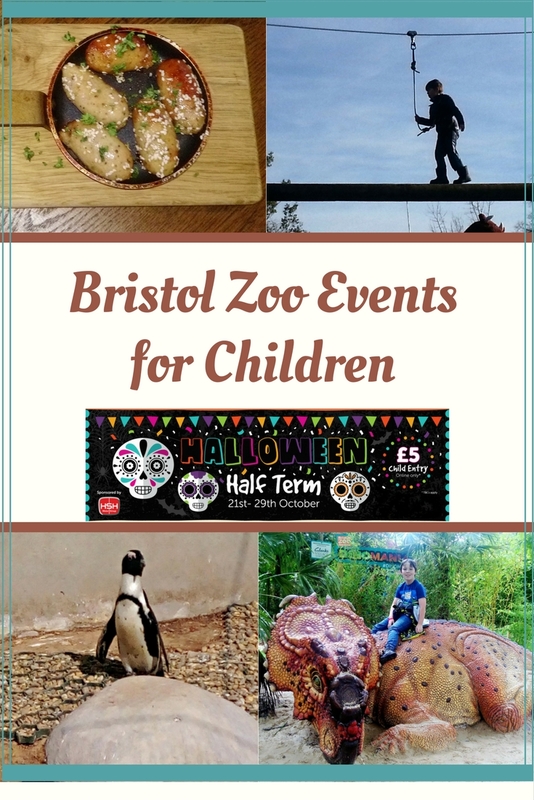 The event runs from 21st to 29th of October and the £5 child ticket offer is available until 5th November. 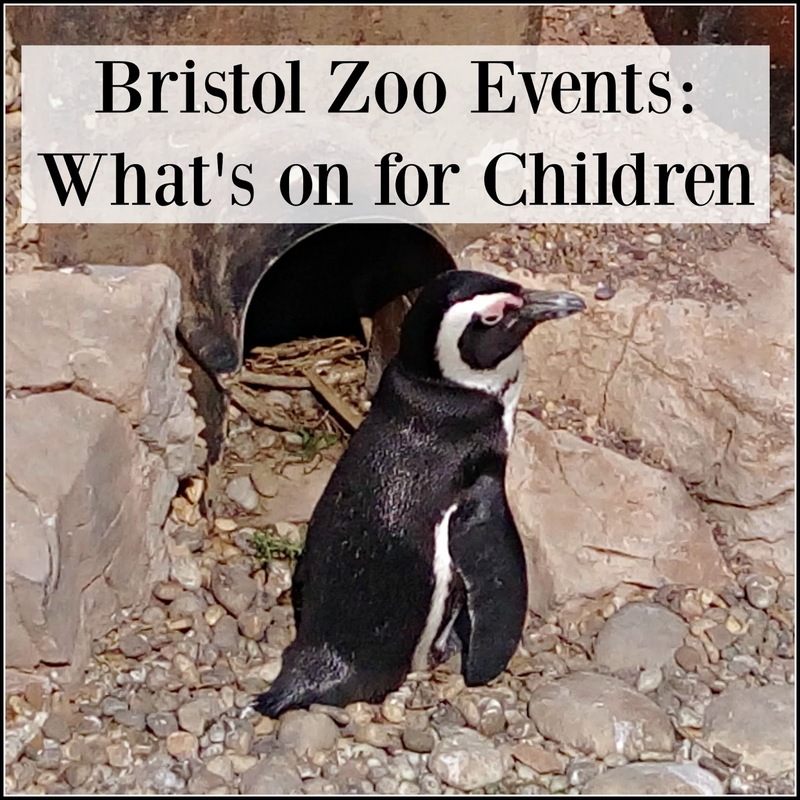 As I hope I've shown in this post, these events are well worth attending, if you are looking for something fun and entertaining for the children during the holidays and it's also a great way to make your zoo ticket price stretch a little further. 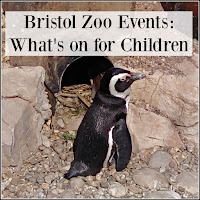 I've never been to Bristol Zoo but it's not a million miles away, so I could. It's good that they offer extra events in the school holidays. It's been a few years since I've been to Bristol Zoo so I think it may be on the cards again to go visit!